North East Heritage Plastering - Plasterer based in Newcastle upon Tyne, Northumberland. 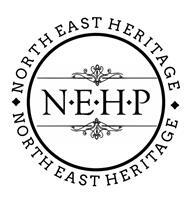 North East Heritage is a small family run business renowned for our specialist craftsmanship in historic plasterwork. We aim to conserve and restore original detailing by replicating and reproducing, using traditional methods whenever we can. We manufacture and install to extremely high standards, completing projects involving both traditional and contemporary plasterwork. Our extensive experience and specialist bespoke service is tailored to meet your individual requirements, offering a reliable and professional service. Within our workshop, we are always striving to learn different methods and techniques and many of our restoration projects have given us this opportunity. We will forever continue our passion for restoring some of the country’s most beautiful plasterwork. Feel free to share with us any ongoing restoration projects you may have...we love to see traditional pieces still in tact! Newcastle Upon Tyne, Gateshead, Hexham, Northumberland, Sunderland, Durham and Darlington. Don't hesitate to contact for jobs further afield, we've recently finished works in Leeds and York.